Back in the mid 1960s, when France bailed on NATO, a continuation of the ACE HIGH system was the ACE HIGH relocation project. ACE stands for Allied Command Europe and the High relates to its operating frequency, above the normal range of UHF frequencies. 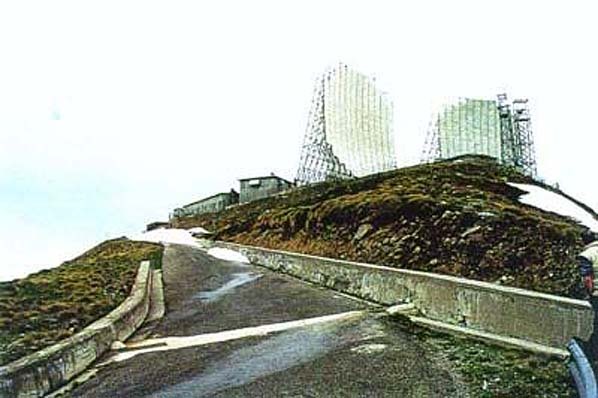 Basically the project installed new sites bypassing the French portion of the system, starting in Belgium, it shot to Landstuhl in Germany, on to the Feldberg site at the Black Forest and ended up at Dosso dei Galli (Lake Garda in Italy, where it connected by microwave to an existing NATO site in the north. The distance from the Feldberg to the Dosso dei Galli site conducts approximately 300 kilometres. The principle of the tropospheric forward scatter system is to beam high-frequency signals against the troposphere (5 to 10 miles above the earth), pick up part of the reflected signal with highly sensitive receivers and beam it onward by the same means. This communications technique has many advantages. Its efficiency is not marred by atmospheric conditions; it has a computed circuit reliability of 99.9 per cent; and signals can be transmitted in distances of from 50 to 250 miles. Reduction of the number of required relay stations through these longer stages also means reduced operation and maintenance costs and personnel requirements. Frequencies used by ACE HIGH (taken from the ITU international catalogue of radio frequencies) ranged from 832.56 to 959.28 MHz. The emission mode was F9 (frequency modulation, miscellaneous), and output powers typically 10 kW to 50 kW. Throw in the colossal antenna gain from the 80ft dishes and you can imagine the kind of power they radiated (up to 1000 megawatts effective radiated power). 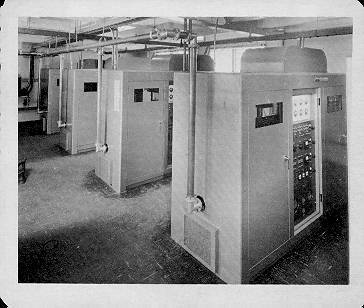 A point to note: the 50 kW transmitters in later years mainly ran at a reduced power of 10 kW. The amplifiers operated in Class A, which is only 35% efficient at theoretical best, and therefore saved a lot of money. The nominal mid-frequency gain of the 25-metre (80ft) antenna was 43dB. 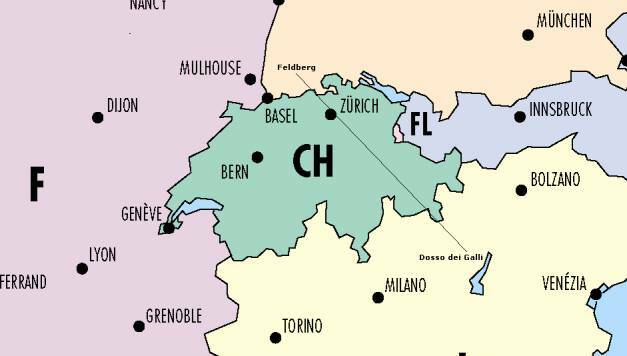 The propagation path of the NATO tropospheric scatter transmission pointed from the South-German Feldberg mainly over Swiss territory to the North-Italian Dosso dei Galli site. The azimuth -3dB beamwidth of the huge billboard antennas were in the order of 1 degree. However the area where the backscattered signals from the troposphere could be picked up was quite large. So it isn’t very surprising that the Swiss radio monitoring service disclosed the troposcatter emission soon after the system went operational. 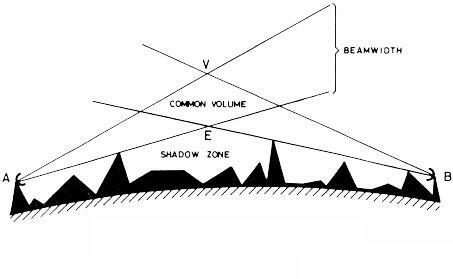 After an initial, rather accidental disclosure by the crew of a temporary mountain site, it was recognized that the signals eventually could be picked up also at some locations in the shadow zone. 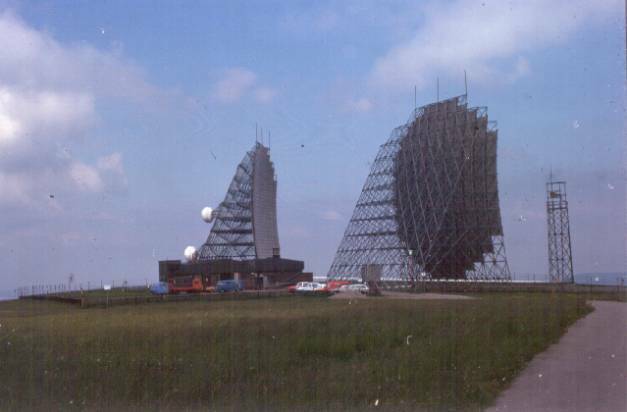 The signal structure was subsequently analyzed in the laboratory the analysis confirmed the former supposition, that the multiplexed transmission contained digitized air situation data of the NADGE radar surveillance system beside of speech and teletype channels.